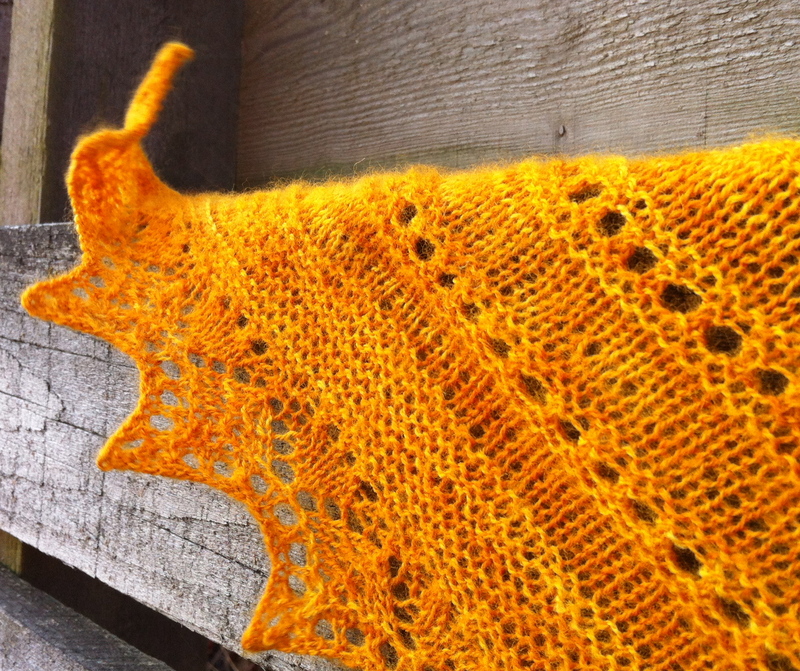 The Alma Ella Shawl is a free pattern over on Ravelry. Designed by Robin Lynn and generously made available for all lovers of simple, but beautiful shawls. 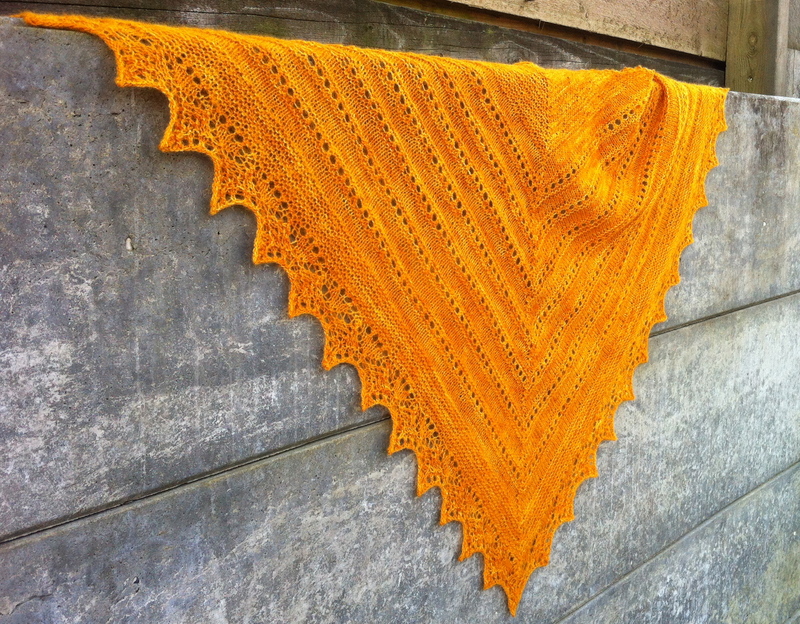 My friend Mariann, who is a skilled knitter (and now also a spinner with a serious spindle collecting issue, but that is a whole different story..) has created an Alma Ella in my handpainted lace merino yarn, “Serenade”. Is it not beautiful? I think so! I have translated the pattern into Danish and placed it in the “patterns” section of this blog. Go ahead and download, if you please. Alma Ella-sjalet er en gratisopskrift ovre på Ravelry. Jeg har oversat det til dansk og det kan nu downloades her på bloggen, under “patterns”.